The salty, briny flavor of feta goes surprisingly well with honey, a combination that contemporary Greek chefs have been experimenting with for about the last decade. 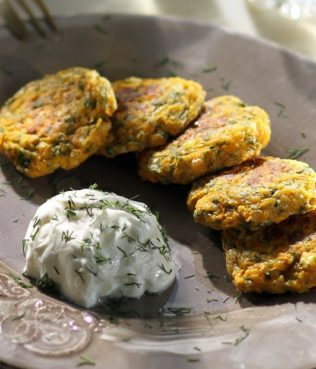 This recipe is a variation on several cheese-based specialties that are traditional Greek mezedes. 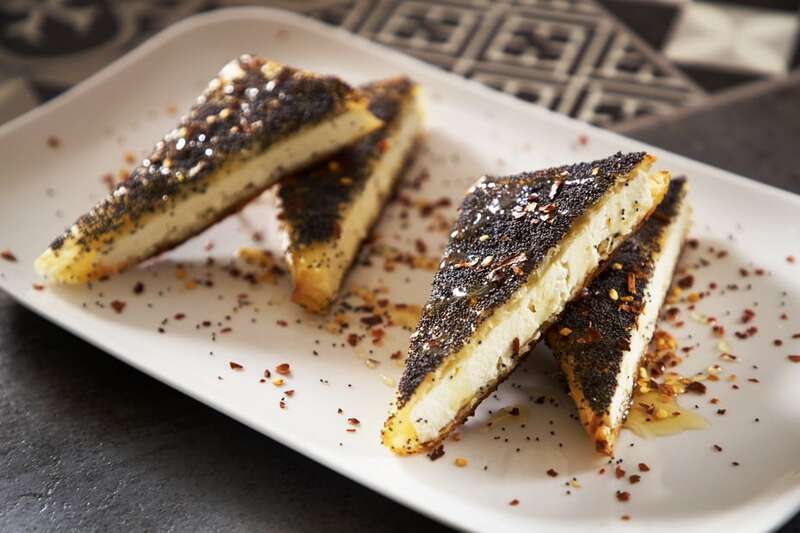 One of those specialties is saganaki, its most common iteration the pan-fried cheese that is a traditional and popular Greek dish; the other is baked cheese, either crumbled and baked in a small pan, or wrapped in parchment paper or phyllo, sometimes seasoned with herbs, spices, or vegetables. 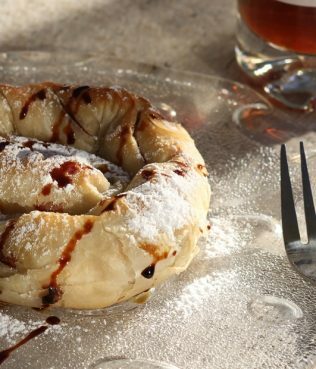 Melting cheese, wrapped in phyllo or not and regardless of the additions, is always a welcome dish on my Greek table! Preheat the oven to 350°F (175°C). Lightly oil a small baking dish large enough to hold the two squares of feta. Take the first phyllo sheet and place it horizontally in front of you on a clean work surface. Brush the phyllo lightly with some of the olive oil. Place a feta square in the middle. Fold in the sides, brushing each unoiled surface of the phyllo with a little of the olive oil and pressing lightly to seal. 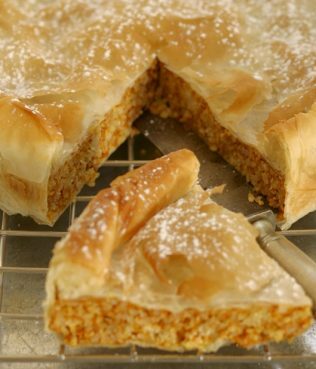 Repeat with the second phyllo sheet and feta square. Spread the caraway seeds over a large flat plate. Lightly brush the top of each phyllo-wrapped feta square with a little of the egg white and dip the egg washed side into the caraway seeds. Place the feta square seed-side up on the prepared baking dish. Repeat to coat the top of the second feta square. Bake the feta for about 20 minutes, or until the phyllo is puffed and golden. While the feta is baking, whisk together the honey, chile, and lemon juice in a small bowl. Remove the feta squares from the oven and let cool for a few minutes. Cut into four triangles and serve, drizzled with the spiced honey.